Welcome to week three of the Virtual Curriculum Fair. 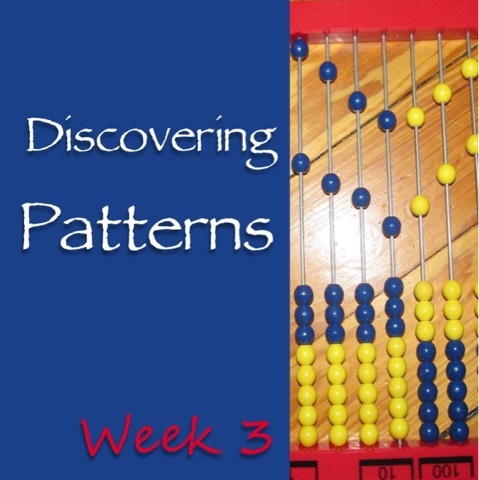 This week is all about pattern: math and the mathematical sciences. Math in our house hasn't changed a lot in the past year. Once we got in the habit of using Saxon math it was a good fit. My son started last January with Saxon 76 and worked through it with help from me as needed. Last fall, the next book in the series was naturally a part of his seventh grade plan. He is now a little over halfway through Saxon 87. He follows the instructions included and needs even less instruction from me now. It is a bit repetitive, but that gives me hope that he will be able to apply the concepts to future problems. Come follow me on Instagram too. I shared this simple tip there at the beginning of the school year. 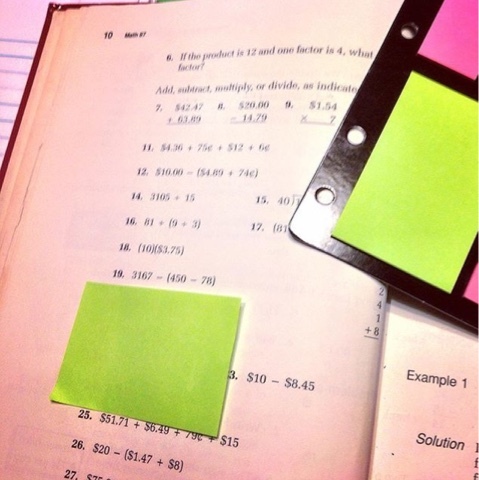 Sticky notes can help students focus on one problem at a time. Might need to try that sticky note trick! Bigger ones cover larger print, too. Love the sticky note idea! We use Saxon for younger grades and still like the repetitiveness!